Portable Smoke System – For Cleanroom Environments. 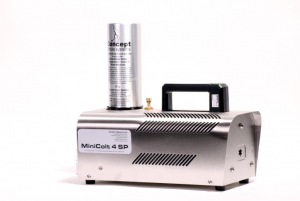 The Mini Colt 4S is a variant of the best-selling Colt 4 model designed for use in cleanroom environments. The size and the weight of the Mini Colt 4S is reduced to make the operation simple and practical. 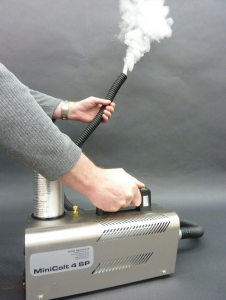 The artificial smoke produced from the Mini Colt 4S is extremely persistent with a particle size of just 0.2mmd. The fluid used is a combination of purified water and pharmaceutical grade glycerine (CAS 56-81-5 / EINECS 200-289-5). 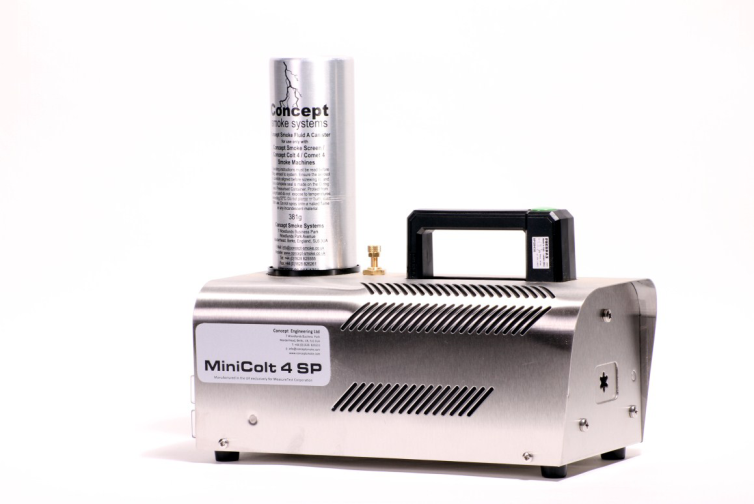 The Mini Colt 4S uses a pressurised aerosol to then pump the fluid through the 1.1kw precision machined heat exchanger which is guaranteed for life. The Mini Colt 4S is available in both 230v or 110v variants. With it’s light weight stainless steel shell, it is ideally suited for air flow testing, visualisation tests. The stainless steel shell makes cleaning the unit incredibly easy, suitable for all cleanroom and containment environments. A 25mm ducting adapter to be easily attached to the front of the aerosol generator which allows the smoke to be accurately placed. The smoke generator also has the ability to make a considerable quantity of smoke off power once pre-heated, making it extremely versatile. The unit comes with a lifetime guarantee on the heater block and a 5 year warranty on parts (UK).